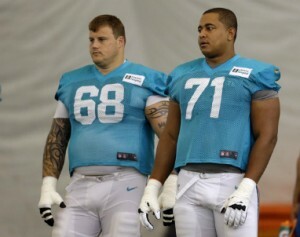 As soon as you saw the word "Bullying" in the title you knew I was going to talk about the mess at the Miami Dolphins where Jonathan Martin has walked out on the team and accused Richie Incognito of bullying. Racism - A Jason Whitlock article HERE and a Shannon Sharpe rant HERE. Violence - A report from NFL.com HERE. Immorality - "Compulsory" meetings at strip clubs HERE. Defining Masculinity - a good summary article HERE. The point I want to focus on today is the widespread response to Martin's bullying claim that instead of walking out on the team, he should have "stood up" to Incognito and bunched him in the mouth. According to this article even the Dolphins General Manager, Jeff Ireland, thought Martin's best course of action was to punch Incognito! Have you ever heard the advice that goes something like, "Bullies are really cowards. Stand up to them and they'll back down." So if Martin responds to abuse with violence that will stop the violence? I just finished writing a blog post on a separate issue here that included the thought, "Sin never heals itself". Likewise violence isn't solved by more or greater violence. I'm not saying that walking out on the team was the right solution. Maybe there were other avenues of redress available. I do not that violent retaliation was definitely not the best solution, or even a solution at all. I wish I had "5 Easy Steps" for putting these teachings into practice. But this Martin - Incognito story demonstrates how difficult and complicated these situations are. There are so many times where it's incredibly difficult to decide the best specific path forward. Sometimes it means walking away from a situation and risking being misunderstood and called a coward. Sometimes it means reporting events to an authority and risking being called a snitch, and possibly losing some friends. Sometimes it means praying for evil people. Sometimes it means serving people we don't like. Out of all the verses in Matt 5 and Romans 12 that relate to this issue, Romans 12:21 that most resonates with me. Do not be overcome by evil, but overcome evil with good. Do you believe God, really, deep down in your heart, that good is able to overcome evil?